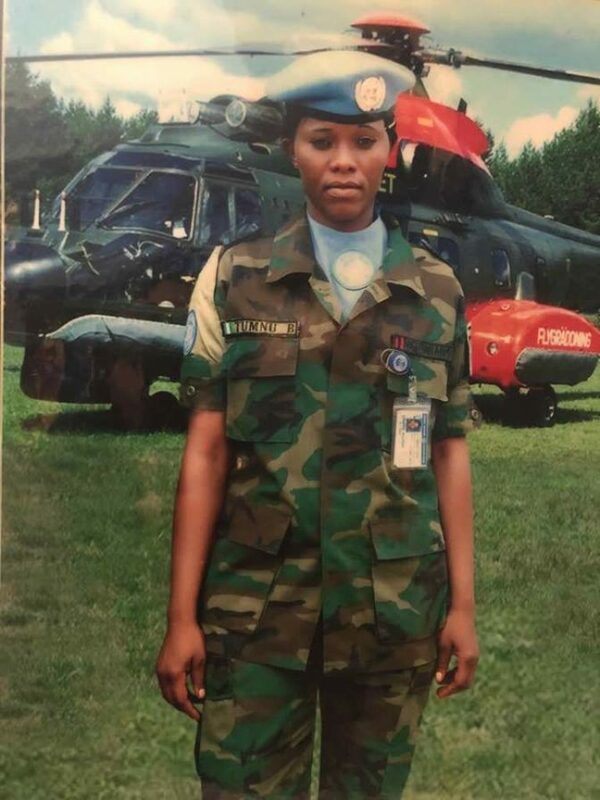 A female Nigerian soldier has died a painful death after being involved in a fatal road accident. The late soldier identified as Corporal Chabathiya .A. Sunama reportedly died in a fatal car accident along Port-Harcourt/Lagos expressway. 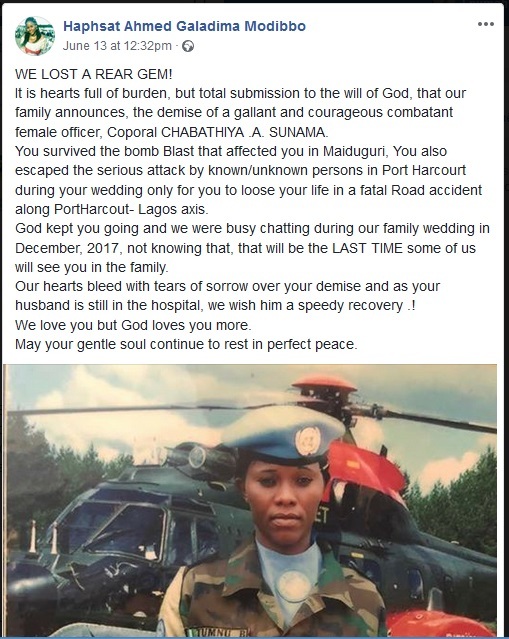 Her husband who was also involved in the accident is reported to have been hospitalized as we wish him speedy recovery.